Foundry has released Flix 6.0, the latest update to its ‘story development hub‘ system, splitting the software into separate server and client applications. The update also “completely overhauls” the UI, improves the annotation, dialogue and search tools, and adds new actions to help automate common tasks when using Flix with Photoshop. Developed in-house at Sony Pictures Imageworks, Flix bridges the gaps between storyboarding, asset management and shot layout, enabling directors, producers and editors to work collaboratively with artists. 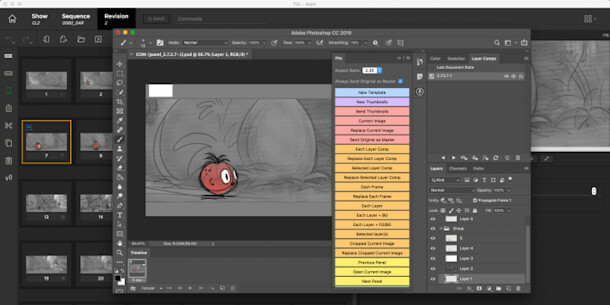 The platform provides a central repository for storyboard images scanned in or created in other software – primarily Photoshop – complete with version management and shot review capabilities. Flix then processes and packages those images, converting them to the size and aspect ratio required for the production, and exporting them as playlists or automatically generated storyboards. For generating animatics, Flix provides two-way links to Media Composer, Final Cut Pro and Premiere Pro. Foundry describes Flix 6.0 as a “complete re-architecture”, overhauling the design of the software and updating the technologies on which it is built. Under the hood, the biggest change is that Flix has now been divided into two separate applications, Flix Server and Flix Client, making it easier to deploy in large studios. The update introduces a new database to replace the previous file-based system, a RESTful API to make it easier for studios to customise installations, and new user permissions controls. Flix is also now a native desktop app, which should improve access to OS features like the file system, and enables users to have multiple Flix windows open simultaneously when working across multiple sequences. In addition, there is now a user preferences system, making it possible to customise things like file paths, export formats and how Flix interacts with third-party tools like Photoshop. Integration with Photoshop – also a focus of the previous release – has been further improved, with Flix getting its own dedicated Adobe CEP panel within the image editor. There are also two new Photoshop actions to automate common tasks: Open as Separate Files and Open Current Image, which opens the panel currently selected inside Flix. 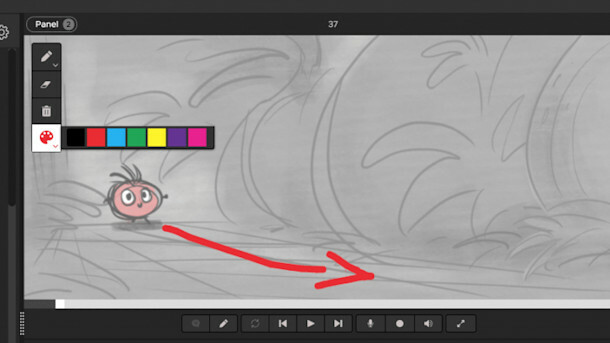 Within Flix itself, the annotation tools have been improved, including brush thickness controls and an on-screen colour palette when drawing onto a storyboard panel. Dialogue management also gets an update, including the option to make dialogue revisions directly within Flix, plus support for text styling and the option to display subtitles in the Player. Other changes include the option to filter file searches by sequence, artist and date range; and a new export system geared towards exporting multiple versions of storyboard panels simultaneously. Flix 6.0 Client is available for Windows, Linux and Mac OS X 10.10+. Flix 6.0 Server is compatible with Linux and Mac only. The software is only available on subscription, and is priced on enquiry.